I've dived into the Infinite Ocean of Immense Beauty. I shall compose the song of life. at the Feet of the Great Silence. 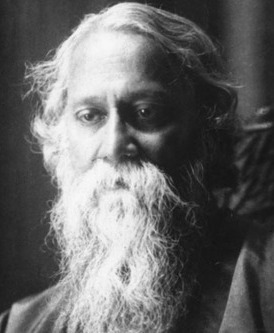 This beautiful song by Tagore, the mystic, poet, philosopher and composer is deeply spiritual in its meaning springing from a realized heart. In the song the poet compares himself with a diver who dives into an ocean of beauty with the hope to gain beautiful and precious treasures. Here the diver is symbol of the spiritual seeker and Rupsagar or the Ocean of Immense Beauty is the Divine Kingdom. The precious treasure is the Divine Truth Itself. It is the Pearl of Great Price - in the metaphor of Jesus. The seeker's hope for precious treasure is the hope and longing for reaching God. The seeker is tired with his aimless wondering with his fragile and broken boat at various ports and many lands. In his heart of heart he has painfully arrived at the spiritual way-station where the seeking for Truth, for God Himself is reaching a new height and he is about to embark on a special quest which should mark the beginning of the end of his reaching that which is Sought. There is no other existence except through You O Allah! Being tired is the point which a seeker reaches after trying many avenues of seeking and finally the heart submits and a new opening is granted. It is dawn breaking after the Dark Night of the Soul episode. He arrives at Sirat al-Mustaqim, the Straight Path leading to the Divine Court. The seekers who go here and there with the hope for spiritual truth but do not dig the well deep enough are called Spiritual Window Shopper by the sages. Only when one discard the shallowness in seeking and become seriously single minded, one can reach the water-table with the well that he digs deep enough. 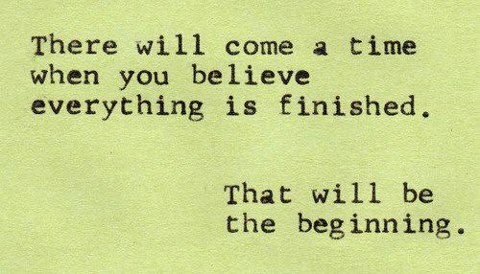 After realizing this truth, after making true striving, effort (mujahada) and through submission a seeker is brought to face the final frontier and then the knowing heart knows that he or she is on the right Spiritual Path and necessary Work. Then one feels that he, she is at his, her Spiritual Home. In this song the mystic's prayer is to be drowned into the immensity of the ocean and he conveys the paradox of life's mystery that only through dying one can transcend death. Mutu qabla anta mutu - die before your death - teaches the Mystic Master Prophet Muhammad, may God accept us worthy of following his footstep. It takes courage to die here in this world in submission but it is through this voluntary death of the false-self, or ego (nafs) one is resurrected to immortal life. It reminds of the idea of Fana and Baqa in Sufi Thoughts. The line "Amore Hoye Robo Mori" is very unique as it conveys exactly the subsistence (baqa) that is followed after death and annihilation (fana). The seeker then talks about the Divine song and special melody that can not be heard with external faculties but only with the heart and within. This is the primordial call of the heart, the song that is being sung within the inner most chambers of the interior castle of the Heart. I AM calling to you from afar; calling to you since the very beginning of days. "I don't hear", you say, "what is it and where?" But somewhere you hear, and deep down you know. For I AM that in you which has been always: I AM that in you which will never end. Even if you say, Who is calling? Where will you run? Just tell Me. Can you run away from yourself? For I AM the Only One for you; there is no other. Your Promise, your Reward AM I alone Your Punishment, your Longing and your Goal. There at the Divine audience hall the mystic wish to take the instrument of his heart and soul. After composing his song of entire life he wish to dedicate it at the Lotus Feet of the Divine whom he calls by the name 'The Great Silence'. God Who is Without a Name and yet called by Infinite Names. Here the mystic says in the song that his instrument also falls in silence before God Who Himself is the Great Silence. This is the classic station of a mystic's bewildered heart which falls into complete silence before the Tremendous and Magnificence of the Divine Which is overwhelming. No amount of glorification or praise can match the praise and adoration that is due to the Divine Lord. The Last Testament conveys similar sentiment when it says, no words can convey the words of Your Lord and if all seven oceans be the ink and all trees of earth be pen even then the glorification and sublimity of the Lord can not be exhausted. In the beginning the Incomparable Beauty of God (Jamal) is remembered through the lyrics of this song and at the end the Tremendousness (Jalal) which makes the heart and soul completely silent in the presence of the Great Presence (Mawjud) is remembered. There is the play of two Faces of God, the Heart-Ravishing Beauty and the Tremendous Majesty, Jamal and Jalal of Allah. Through this song the mystic takes us to a special place where we are speechless at the Court of the Great Silence who is none but the Divine Lord, all Glory is His. 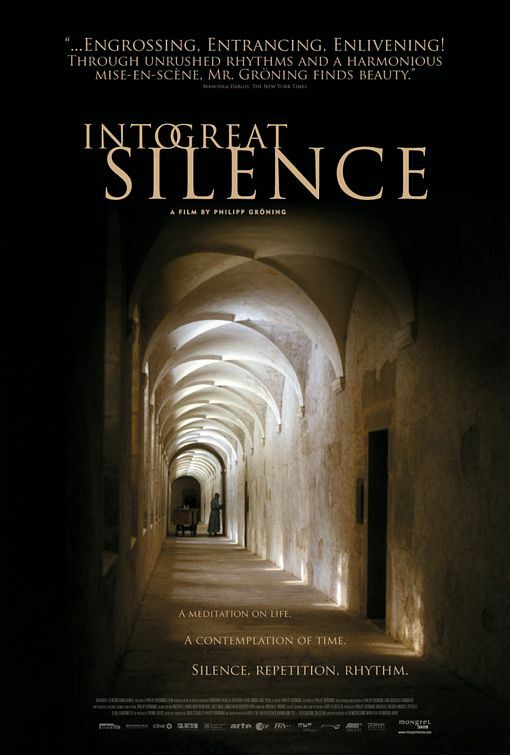 The Divine called as the Great Silence in the song reminds me the documentary film Into Great Silence (German: Die Große Stille) directed by Philip Gröning that was first released in 2005. The film is an intimate portrayal of the everyday lives of Carthusian monks of the Grande Chartreuse, high in the French Alps (Chartreuse Mountains). You may watch the film in full via Youtube. Follow the link below. Rupshagare Dub Diyechi Arupratan Asha Kori, translation in English of Tagore Song with Original Bangla/Bengali Lyrics. A Technology of the Heart translation by Sadiq M. Alam.